Home Immigration US immigration: what is Ice and why is it controversial? US immigration: what is Ice and why is it controversial? 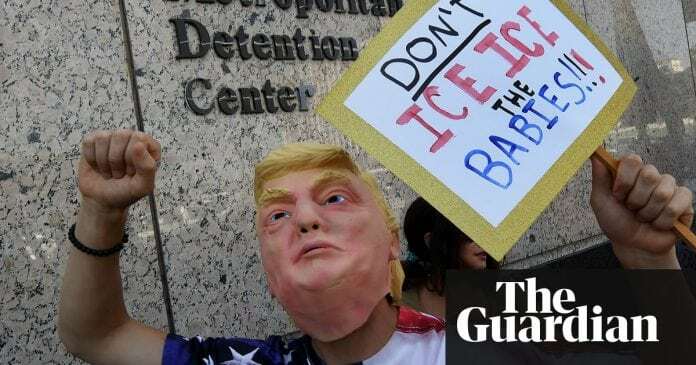 As outrage over family separations at the southern US border continues to boil, protesters and even a number of Democratic politicians are increasingly calling for the abolition of the US Immigration and Customs Enforcement agency, or Ice. Ice is not the agency conducting family separations at the US border. Ice is not responsible for patrolling or securing US borders; that task falls to the Customs and Border Protection Agency (CBP). It is CBP agents who have been charged with enforcing the administrations zero tolerance policy, detaining migrants and asylum seekers at the border and initiating the separation of undocumented families. Instead, Ice is primarily tasked with what it calls Enforcement and Removal Operations: essentially the location, detention and deportation of undocumented immigrants who have already successfully crossed the border and are living in the US. Under President Barack Obama, the unit prioritized removing those undocumented immigrants who had committed serious crimes, but the Trump administration has broadened its mandate to target anyone in the US illegally. In January 2017, the president signed an executive order to increase the agencys staffing by 10,000 employees. The order also vastly expanded Ices immigration enforcement powers. The agency also houses a Homeland Security Investigations (HSI) unit which targets major border-related crimes such as the trafficking of drugs, weapons and human beings, as well as a much smaller legal services department. Because of this multipart structure, even some Ice agents believe it should be abolished, although likely not in the way that activists are calling for. In a letter to the homeland security secretary, Kirstjen Nielsen, earlier this week, 19 HSI agents expressed concern that Donald Trumps hardline crackdown on undocumented migrants has made it harder for them to conduct effective investigations into significant national security issues. Annual immigration arrests have soared since January 2017, from 110,568 in 2016 to 143,470 last year, although they still remain below the height of annual arrests under Barack Obamas administration.